Things are going to pick up from where they ended in the finale of the twelfth season. Jo refused to tell her boyfriend the reason for her refusal when he proposed her. She instead told it to the intern Andrew, while she was drunk. And to top it off, Alex found her and Andrew in a seemingly compromising position. Keeping all of that in mind, we expect that Jo would finally allow her boyfriend some closure and Alex’s misunderstanding would be cleared. It has been speculated by some fans of the show that Karev, Jo’s boyfriend would still appear in the show until she explains her everything. But these are just speculations, the tide could take any turn. Things are looking good for April and Jackson in this installment. They were on the brink of a very bad breakup in the last installment, after spending years in a difficult relationship. But to say the least, their relationship has evolved in all these years and they will be friendlier in this season. A few problems are still to stand in their way. The biggest one being Catharine. She is getting along well with Jackson and she is surely going to get in April’s way to get back together with Jackson. Meanwhile, Meredith’s romance with Riggs might move to a higher level this installment. But this could affect the dynamics of her relations with others. Like, Henderson is optimistic for his increasing intimacy with Meredith. So, we could say that things are going to become a little complicated between Riggs and Meredith. There’s also the thing with Maggie. Maggie could get on bad terms with both Meredith and Alex due to her love for Riggs. So, Maggie’s ego is going to take a hit this season and she’s going to have a number of arguments with her brother. If it is one thing that we are sure of this installment, it is that it will be full of drama. 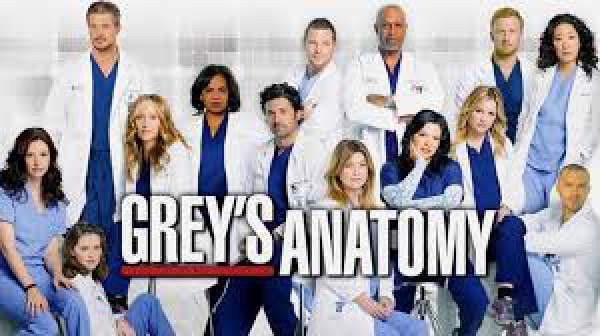 “Grey’s Anatomy” season 13 premieres on September 22 this year on ABC.